Guar seed and Guar gum kept stuck to upper levels. Guar seed stuck the level of 3700/100Kg and Guar gum stuck the level of 6600/100 Kg e in sluggish business activities. Major business activities were sluggish due to regular holidays and close market but highly volatile trading was noticed. Guar cultivation has almost stopped as per primary information Guar cultivation area will not cross figure of 30,00,000 hectares in whole India. As on 15th August guar has been sown on 25,78,000 hectares in Rajasthan. It has been cultivated on 1,19,500 hectares in Gujarat as on 12th August. It has been cultivated on 2,50,000 hectares in Haryana. Thus total cultivation area will be below 30,00,000 hectares. Thus the first strong fundamental is lowest cultivation area during last 7 years. In the first batch of sowing Guar cultivation area was very low it was far below than other kharif crop. In the first batch Guar could be cultivated only on 10,00,000 hectares. In best condition guar production average will be around 600 Kg/ Hectare thus there will be production of 60,00,000 bags from first batch. Crop will get good time in maturity and sufficient moisture in flower and seed formation. In second batch guar cultivation area started to improve and it reached up to 20,00,000 average productivity of second batch will be around 200Kg/ hectare. Thus there will be production of 20,00,000 Bags from the second batch. In the last batch rainfall covered the western part of Rajasthan and sowing area was added from Barmer, Jaisalmer and Jodhpur and it reached near to 30,00,000 hectares. In the last batch average productivity will be around 50 Kg/Hectare. There will production of 5,00,000 bags from last batch of sowing. As per primary estimate Guar production will be 85,00,000 Bags in good condition. In most favorable condition it may touch 1,00,00,000 Bags. Crude is life line of Guar gum industry and it get a strong physiological support from crude prices. In this week crude is getting upward movement. And it has crossed 50USD/ barrel. 50 USD /barrel is very strong fundamental support form guar seed and guar gum prices. There is major requirement of stability in crude prices above USD50 /barrel. OPEC is planning to cut the oil production to maintain the inventories in the line of demand. Speculators are active in industry in expectation of better return with improving crude prices. Speculators try to monetize every factor which is against the price improvement of guar seed and guar gum. This is time to play in grey/confused condition about production and sowing data. After one-sided condition they can’t enter in market and there is less possibility of market manipulation. Ever upper circuit is leading to another lower circuit and downfall in prices. Short term investors are booking their profit at upper level and let the prices free fall. It is creating a negative movement for new investors and keeping them away from fresh investment. Though spot demand and supply is major factor which decides the prices of guar in market but processors are adopting hedging and effect of forward market reach quickly in spot market. As per discussion in above factor guar market is highly volatile at this time. There are two major factors behind the volatility first factor is sowing area. Guar crop is cultivated only one time in a year and this cultivation will decide the production and supply of guar seed for throughout the year. Many factor are intersecting each other and new theories related to sowing area is coming out every day. Speculators are promoting and encasing these theories. There will complete break on theories related to sowing guar after August. Some authentic figure will come in market by the end of August. Another factor is crude oil. Crude oil is highly volatile due to geopolitics and technology war. There is competition between soft oil and hard (shale) oil production. Increasing inventories of crude oil in marketing putting pressure on crude oil. Every small and big decision related to production is leading to volatility in crude oil prices. 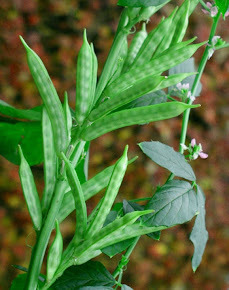 At ground level all the stake holders related to guar which includes Farmer, Traders, Stockist, Processors, Exporter, end Users and Investors have got the primary inputs related to low production of guar and currently Guar is emerging as strongest commodity in comparison other commodities from guar growing belt. Bajara don’t have any major industrial application and it is not a long term investment friendly commodity. Another major segment is pulses. Pulses are already under heavy pressure of bumper production due to increased cultivation area. Third segment is oil seed. In guar growing belt oil seed in produced in large area in Rabi season specially the mustard. In this Kharif season some area is covered by groundnut but ground nut is a crop of excellent growing condition like timely watering and heavy investment in crop cultivation. Last segment is cotton but cultivation time for cotton is totally different it is cultivated before June. Cotton is also cultivated in good soil and confirm availability of artificial irrigation water. In guar growing belt early crop has started to flower. Flowering has started in lower branches with high temperature and upper branches are growing with increasing moisture. Right now no major disease and pest attack has noticed in early crop and it is standing healthy in green condition. Late crop is growing and it is also standing healthy. Moisture in climate in guar growing belt is not excessive. Clod formation is not continued. If there will be 4-5 days’ continuous cloud formation, then attack of disease and pest will be start. In early stage there was attack of red hairy caterpillar in Haryana, Hanumangarh and Churu but now these insect has completed their caterpillar lifecycle. Crop sown in very late stage specially in Jaisalmer and Barmer is facing the problem of moisture stress because there is no second lot of rainfall. After the germination there must be rainfall within 10-15 days. If this crop will not get this rainfall timely then there will loss of crop in very big area. But production point of view it is not an important belt. People go for guar cultivation due to lowest opportunity cost of land in this belt. In short term Guar may cross the level of 4000/100Kg up to first week of September. But in long term investor may consider 5000/100 kg level up to November. At this stage guar need to cross a strong support of 4000/100 Kg level and sustain for one week. Investor must keep their existing position and they can consider to enter for long term investment for 6-12 months. Guar Seed & Guar Gum strengthening with end of guar sowing period and upward movement in crude prices. Guar Seed & Guar Gum strengthening with end of sowing period and improving crude prices. Guar Seed and Guar gum remained highly volatile. Guar business was shut down with two lower circuits and touched to 3500 (guar seed) and 6200 (guar gum) level. There was heavy rainfall in guar growing belt and some parts faced flood like situation. Rajasthan Govt has declared the fresh data of guar sowing. As per these data guar has been sown on more than 23,50,000 hectares uo to 11th August. If the improvement in sowing area will keep going, then total sowing area will touch up to 30,00,000 hectares in India by the end of Next week. Sowing will be finished by the end of next week. As per field report sowing area is not increase as per the growth rate of Govt Data. Currently Govt data is only source of authentic and reliable with coverage on large area. Crude oil market is also getting some support from the news of OPEC planning for freeze the production. Crude oil has also improved in this week. It has recovered from USD 40/barrel and reached to 46 USD /barrel and this is very good supportive fundamental. As per oil and gas expert crude will stable on 65 USD/barrel with in this quarter and it will keep stable at this price up to next one-two yeas. Growing crude oil will give support to the shale oil production and companies. Oil service companies will focus on fresh shale oil production. Production of Gaur seed will remain tight Earlier estimate was 50,00,00 Bags as per fresh estimate it will reach up to 80,00,000 to 90,00,000 Bags. For the first 10,00,000-hectare productivity will be remain around 500 Kg/ hectare and in the next 10,00,000 to 20,00,000 hectare will be around 100-200 Kg/Hectare. This production will remain under 90,00,000 hectares. There are no any chances of improvement in production but it may go down with insect and disease attack. Guar growing belt will face a lot of problem in investment in pulses specially in Kharif season. There will be bumper production of Moong and Moth. Moong has already start going down toward 3000 and Moth has reached 3700/100Kg. As per market men both the crop will remain around 3000 level during next 12 months. In this situation Guar will remain only crop which will attract local investment and stocking activity. Once the prices of gaur seed will move out from 4000 level then stocking wilkl start and supply of guar seed will remain very tight. Instead of external factor Guar industry is down due to internal weakness. Investors are highly volatile; Industries are more focused in future market then sport market. Instead of individual profit and loss industries are hedging their demand and sharing their profit with other processing industries and less focused on individual technical expertise and cost control. In long term Guar will attract a lot of global investment in processing and quality improvement. Indian guar industry still faces the problem of lack of technical expert and R&D team. Industry need to focus on industrial atomisation and quality control. 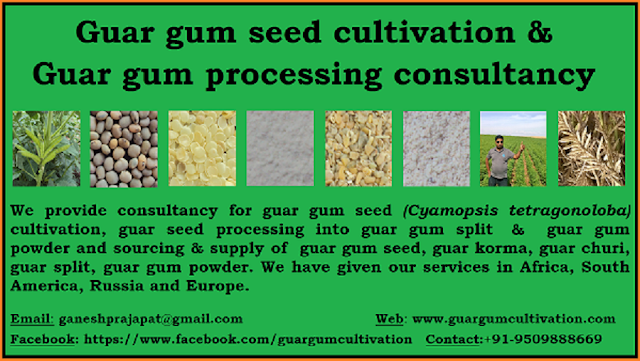 Fresh investment in India is also expected in guar gum processing industry at large level. Global player like Solvay has planning for full-fledged operation in India, Solvey has already acquired the business of Rhodia. Solvay has mainly focused on non-oil and gas Guar gum production and that is good news toward diversification of Guar gum industry based mainly on Oil and natural Gas Industry. Solvay finds Guar interesting for their future R&D projects. Stick with existing positions. Below 3500 level is good entry point for guar seed Gaur gum investors can enter below 6500 level. Or they can wait for next week. As after release of final sowing data of guar; one downward movement will come in Guar. Even there is holidays in next week and most of business activities will be remain sluggish and gaur may also come down. If there is any opportunity to enter at lower level, then it will be very good. Rajasthan Govt has released the fresh swing data of Guar gum seed cultivation . As per these data Guar seed/ guar gum has been cultivated on 19,26,200 Hectare till 5th August which is 53.5% of targeted area.. On the same date during, last year this figure was 34,61,000 hectares. Market of guar seed and guar gum is bearish due to the rainfall and expectation of increase in guar seed sowing area. In the case of Guar gum seed it is not true. This year there is very heavy rainfall and it is bad for guar gum seed in both conditions First of all heavy rainfall is not good for guar gum seed sowing and it is also not good for standing guar gum seed crop as it will lead to excessive soil and climate moisture and further attack of disease. Long cloudy period and heavy moisture is most favorable condition for development of microorganism responsible for disease and pest. Guar crop requires better aeration in root zone and dry climate. The result of this excessive rainfall will come after 15 days when leaves turn brown with round shape spots. It will also lead to growth of weeds. Weeds grown fast in heavy moisture and weeding of the farm will be very problematic. At this time, it is more problematic for early guar gum seed crop. Weeds will grow very fast. 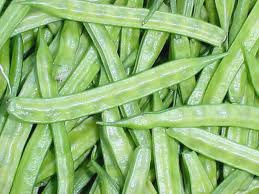 Rates of Guar has also come down and short term speculative buyer has come out from market. It is again best point of entry in this guar seed and guar gum contract. After 5-6 days news of damage in guar seed and guar gum will start to come. Guar gum industry will benefit from competitive crude oil prices. Guar is making good impact in commodity market. Guar is only commodity which was having lower entry point for long term investment. Investors must keep stuck their position because up to next two and half month there is no delivery pressure. In this two and half month period Guar will attract a number of investors. Fundamentally guar is very strong Existing stock is very tight and processing industries don’t have any major in house stock. Now this guar gum demand will reach in market and stockist and traders will react bullish to these fresh demands. Demand will increase as OPEC is struggling to stand in crude oil market which is shifting to shale and tight oil production. IN USA there is different situation. Companies are closing the old oil rigs and marginal production in negative and companies are going for new oil drilling and oil rigs to increase their marginal production and profit. Companies find New oil well profitable instead of recharge the oil well in this hyper competition. There is good news that break even prices of companies is coming down. In year 2013 the average break even price was 80USD/Barrel it came down USD70/barrel in year 2014, Which further came down to USD50/barrel right now it has come down to USD 40/barel and It is going down with latest technology. For example; In Permian Region of USA, oil production from per rig was 100 barrel /Day in 2012 and it is keep increasing with fracking. In 2013 it was 125barrels/Day, in 2014 it was 180barrels/Day, in 2015 it was 200Barrels/Day, in starting of 2016 it was 425 Barrels/day. Right now it is around 500 barrels /Day. This is very good improvement especially in last two years. Companies are focusing in going for new rigs to increase their marginal production and profitability. Demand of Guar will increase with this movement. Companies will go for new oil rigs to increase their profitability. Investors can maintain their existing position and they can also make fresh investment at this level and there are more chances of better return in Guar in coming period. 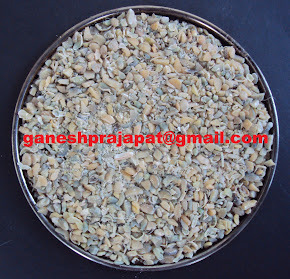 Guar seed is more stable and solid commodity then guar gum. There is less impact of daily inputs . This report is exclusively available for members only at this time. 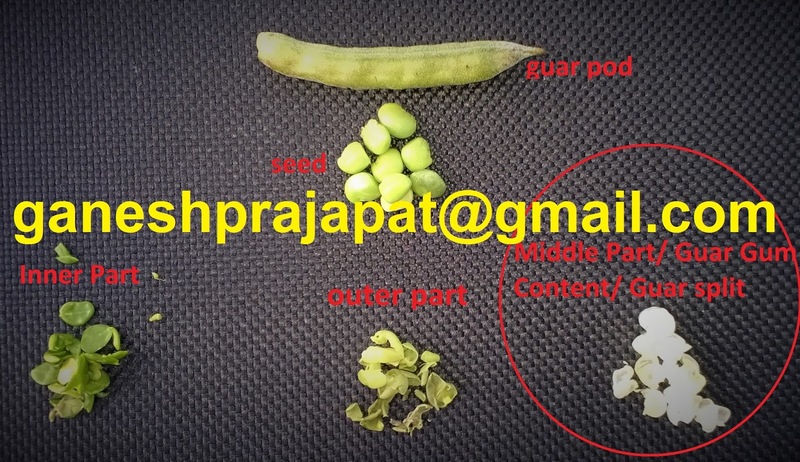 In this report we have provide balance sheet of guar production and consumption. We have also given the estimated production data. Guar seed and Guar gum contract size has come down after down fall in last week. This is due to exit of some short term investors. Overall Guar seed is very strong in market. If there will be down fall then Guar seed is strong at down side and if there is upward movement there is more chances of return in guar gum. People are calculating the increase in Guar cultivation area but at this time it is not a big reason to decide the gaur prices because right now Guar cultivation is increasing in inferior of less productive land. For the First 10,00,000 Hectare productivity will be around 500Kg /Hectare but for rest of cultivation area productivity will not cross 200Kg/Hectare. At maximum side we can take 70,00,000 bags ( 100 Kg each )of guar seed production. 80,00,000 Bags will be a upper limit figure after all positive factors. In a growing market 20,00,000 Bags is not a big equation. For a medium level stockist have a capacity to hold 10,000 Bags of Guar. This over production is a game of 20 medium level stockists. If farmers and small stockist active at same time in market then it is negligible production to affect the prices. All the stack holders are positive but there is fear of increase in cultivation area. Everyone is positive about Guar prices like processor, middle men, traders, farmers, and exporter. Oil exploration activities have not come down even in this low crude price period. Shale or tight oil production was 1 Million barrel per day in year 2012; it was 2 Million Barrel per day in 2013, 3 Million in 2014, 4.5 Million barrel/Day in 2015, 4.2 Million barrel/Day in 2016. 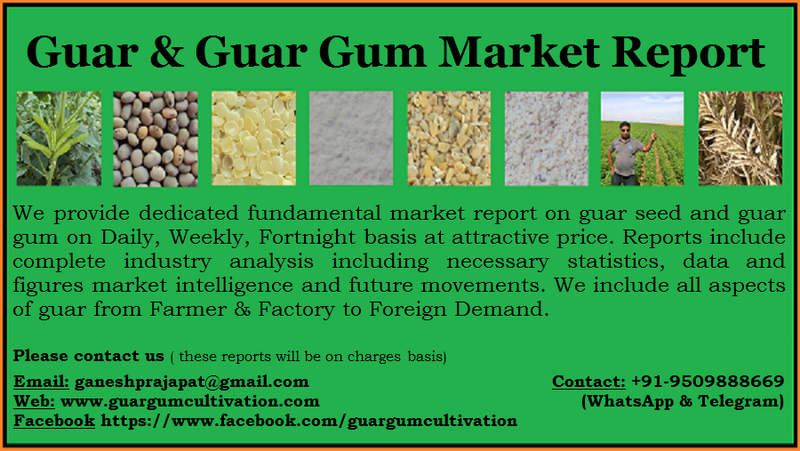 There is no negative figure at Guar gum demand side. It is highly demanded product due Oil and Natural Gas industry. If Crude oil prices are coming down it means the use of Guar gum is increasing. Industry should not take any tension Hyper competition in crude oil prices will be beneficial for Guar Gum industry. Low crude prices are due to competition in Soft crude oil production (Conventional technology special used in Gulf –African and Old Soviet region) and Hard crude oil production ( latest technology special in USA, Canada and some part in Russia ). Hold with current position for 6 month to 12 month target. It will give very good return among all the commodity from now.